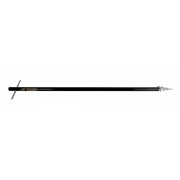 Dinsmores Power Drive Umbrella Pole Extra strong, complete with T-bar to screw into any ground, for use in place of umbrella extension pole, length 30in. 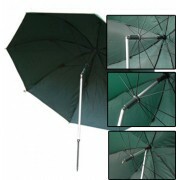 ..
MDI 45" (2.2m) Deluxe Tri-Tilt 100% Waterproof PVC Coating Umbrella +Spike & Case. 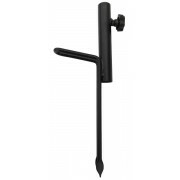 This Tri-tilt Umbrella Standard 45 or 90 degrees tilt action, or the pole can be relocated at the back of the umbrella for more space when fishing. 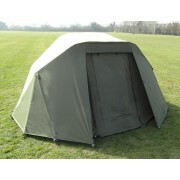 This umbrella is 100% Waterproof the cover is made from nyl..
MDI Carp AN-X 2 Man Pram Style Bivvy + Overwrap. Features a ultra sturdy design but also packs down compact enough for transportation, the 3 alloy pole style setup gives this bivvy a extra ridged design using ultra-light but strong aluminum elasticated folding poles . The large 270x305 foot pr.. Umbrella Ground Claw Holder. Simple and easy to use, this Super strong brolly support system with the heel kicker plate to allow penertration even into the hardest ground. No more getting wet and disturbing the bankside! .. 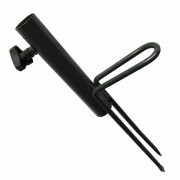 Umbrella Ground Claw Holder Black. Simple and easy to use, this Super strong brolly support system with the heel kicker plate to allow penertration even into the hardest ground. No more getting wet and disturbing the bankside! ..